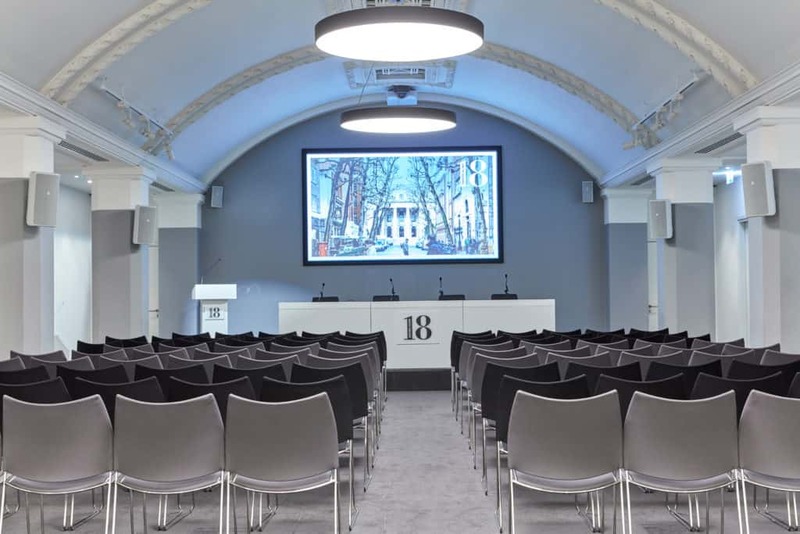 Bevin Hall, with an ornate barrel-roofed feature, is the venue’s most prestigious room. 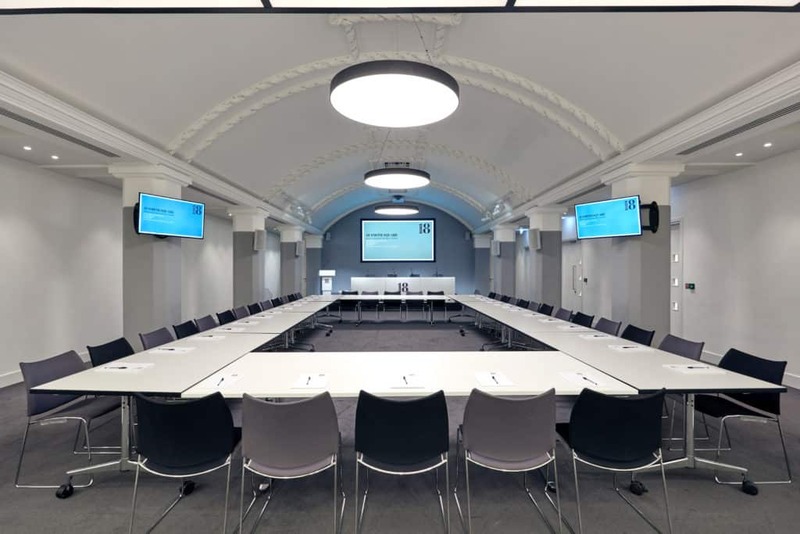 Popular for larger conferences and events for up to 120 delegates in a theatre style layout, this room is an event organiser’s dream. 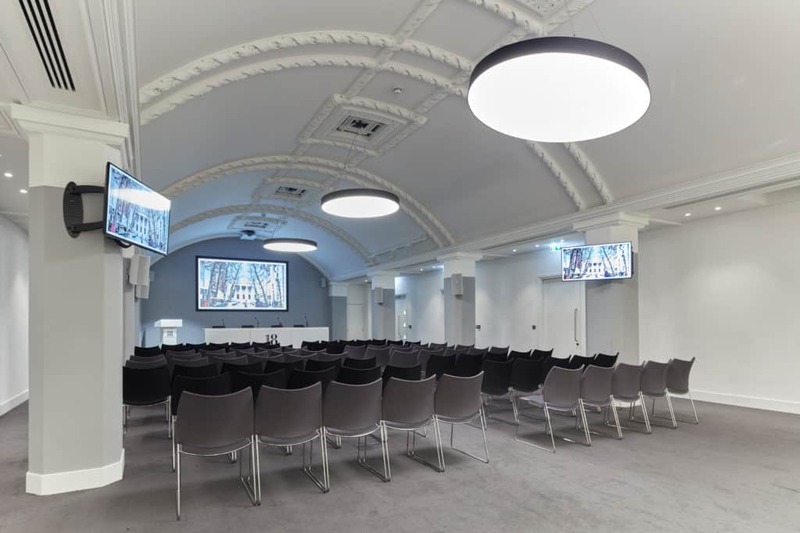 Ideally located on the ground floor, the space is benefiting from a separate registration desk and a dedicated foyer space that can accommodate cloakroom facilities. 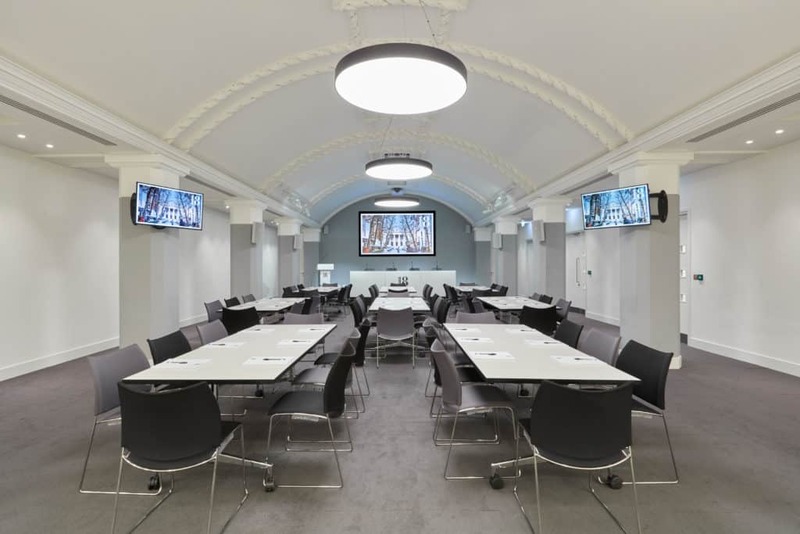 Bevin Hall is a versatile space that can lend itself to various room layouts and has the unique advantage of adjoining breakout space in our Smith Square rooms (1, 2, 3 and 4), if required. 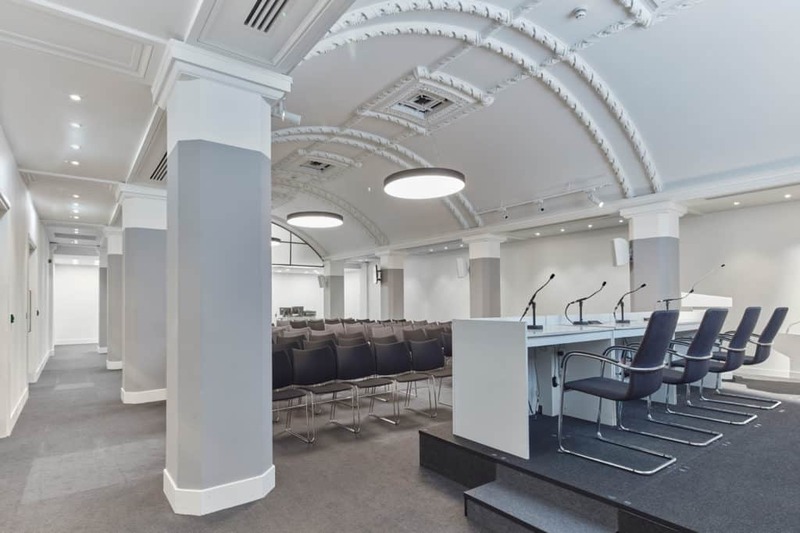 Combine Bevin Hall with the Smith Square rooms to compliment a main plenary room with break-out areas or a refreshments point. 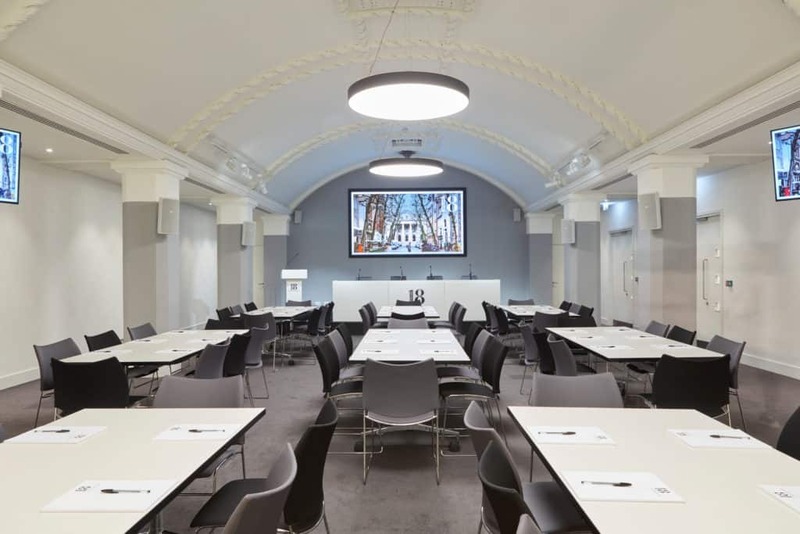 For events with less than 80 guests catering can be served at the back of the room. 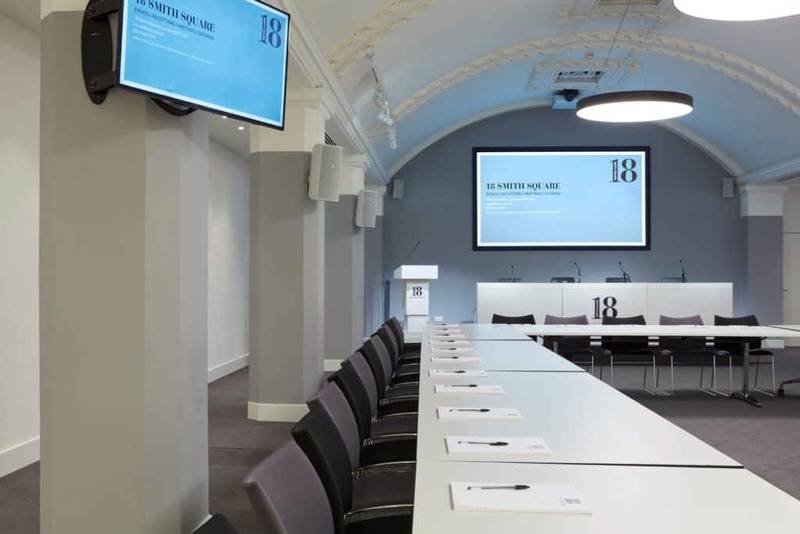 For groups larger than 80 guests, the hire of an additional room is required. 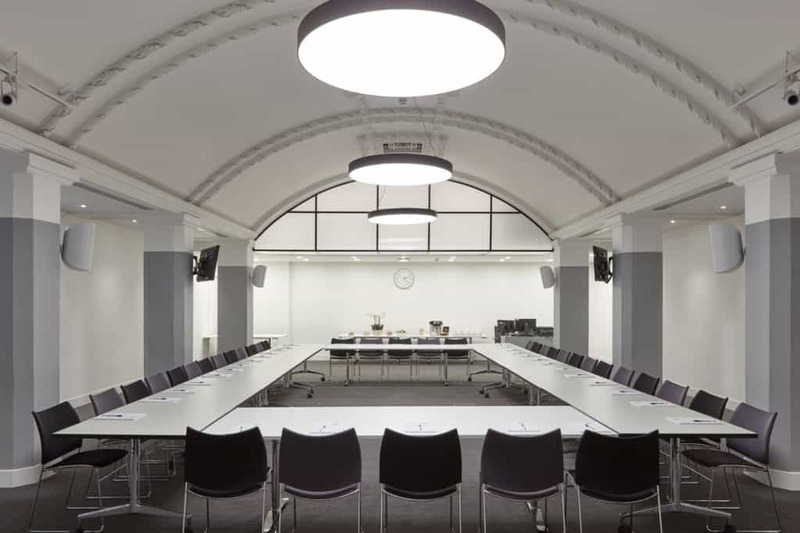 Our Smith Square 3 and 4 rooms can be used as a catering or networking space. 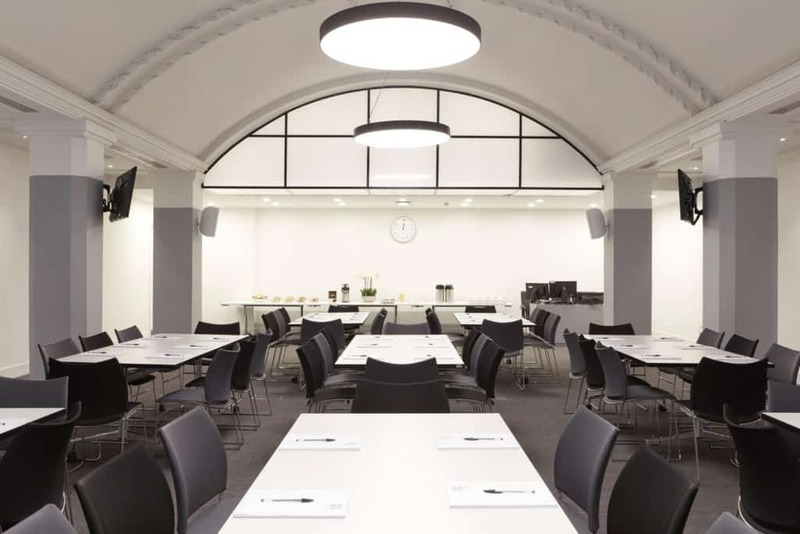 The rooms can accommodate up to 80-100 guests for a standing reception, making this the ideal space for lunch and coffee breaks.